How is Flooding Different from Water Damage? Flooding is a tremendously catastrophic event for any homeowner, but do you know how it is different from a Water Damage? 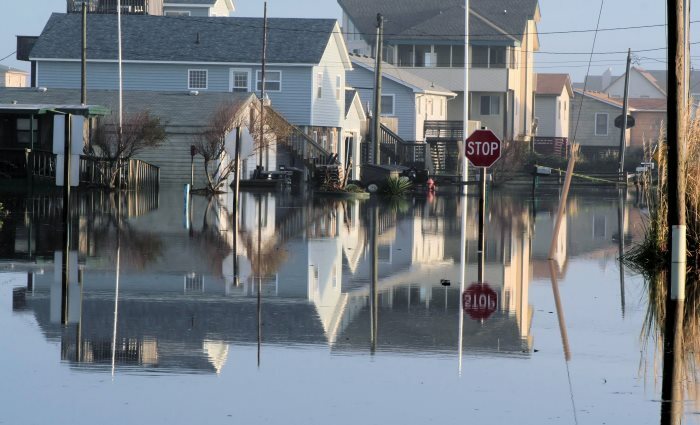 Flooding is a tremendously catastrophic event for any homeowner, so it's not surprising that they want to attempt to get everything put back together as quickly as possible. As these damages were the result of a significant amount of water, you may think that it's the same as Water Damage, but the two are quite different, and require very different steps to address properly. Here's how flooding is different from water damage, and how you can prepare for and respond to a flood properly. Insurance: Most standard Homeowners Insurance Policies do not cover damage as a result of Flood, and in fact specifically exclude it. This requires that homeowners take out separate Flood Insurance Coverage, which your Local Insurance Agent will be happy to assist you with. This will be an entirely separate policy underwritten by FEMA and will require a separate premium. Contamination: Unlike water from a pipe break or sink overflow, flood waters are considered heavily contaminated as they have the potential for picking up pollutants and hazards as they flow through yards, other structures, and septic tanks / sewers. For this reason, care must be taken, and safety protection worn, whenever performing tearout, mitigation and drying, or cleanup after a flood. Additionally, due to the contaminants in the water, many soft goods and content items that may have been salvageable had it been clean water, will unfortunately have to be disposed of. Whenever disposing of content, keep a detailed list and photos of all items that were disposed of for your Insurance Company. Extent of Damage: Due to the contamination level of flood waters, porous materials such as affected drywall and paneling generally must be removed and structural members decontaminated and cleaned thoroughly. Additionally, due to these contaminants, as well as the extent of damage flood waters cause, Mold growth and additional structural damage can result rather quickly, making prompt response by qualified Mitigation Experts necessary. As part of the mitigation process, any mud or dirt brought in with the flood waters will be cleaned up and removed and access will be made into cavities and other areas that may trap moisture to ensure that drying has been effective. It is important to consider that, unlike a pipe break that originates inside your home and may only wick into the wall cavities, flood waters have passed entirely through these wall cavities, requiring thorough drying capable of removing moisture from all of the components that make up the wall. In cases where cinderblock walls were affected, it may take some time to allow the moisture to fully drain from the spaces within the cinderblock. A Professional Mitigation and Restoration Company will have equipment capable of monitoring the drying process, which will give you peace of mind that your property has been dried thoroughly. Cost: Due to the extent of damage and the amount of content that will need to be disposed of and replaced, flood damage is significantly more costly than your average water damage. It's important to consider when discussing coverage with your Insurance Agent that, in addition to the tearout and mitigation that will be necessary in the event of a flood, you will also need to put everything back and perform all necessary repairs. In some cases, there may be requirements put in place by FEMA to relocate your panel box / electric service, or even raise your property above the water line. Often, the costs that homeowners are least prepared for are the costs to replace content items such as musical instruments, antique furniture, and appliances. When sitting down with your Insurance Agent to discuss Flood Insurance, it's important to consider all of these costs so that you can ensure that you are properly covered in the event that you suffer a flood. Finding a Contractor: Flood Damage, unlike any other type of claim, can be incredibly nerve wracking for a homeowner. Not only have they suffered a tremendous loss, but "contractors" that are not local to the area, or do not specialize in Water / Flood Mitigation tend to appear out of nowhere. Be particularly cautious of companies that are not Truly Local to the area, as you want someone that is going to be around should you have a problem. Similarly, contractors and cleaning companies lacking the experience and knowledge necessary to properly dry and mitigate your property often begin to advertise these services. There is nothing worse as a homeowner than realizing after the fact when you can't reach your "contractor" that you made the wrong choice. Disaster Blaster is proud to have a long history of servicing our local communities in their time of need and, being Nepa's Indoor Environment Experts, is specialized in providing exceptional service when our customers need us most. We hope that you found this information helpful! If we can be of service for Water / Flood Damage Mitigation, please don't hesitate to Contact Our Offices! We are happy to assist you.